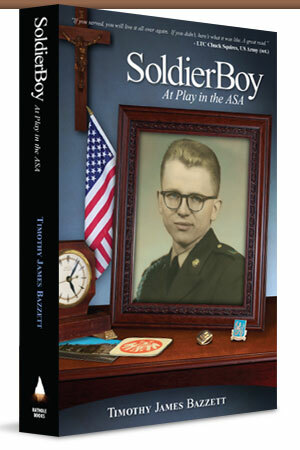 BOOKLOVER - "How can I not mention this latest memoir from Tim Bazzett? On the cover of "Booklover: A One-Year Journal of Reading, Reflecting & Remembering," he stands next to a stack of books he's read and right there, smack at knee level, is my own "An Open Book." Bazzett has been chronicling his life in a series of digressive reminiscences, starting with "Reed City Boy" and "Soldier Boy" ... If you like memoirs, check out this latest installment ..."